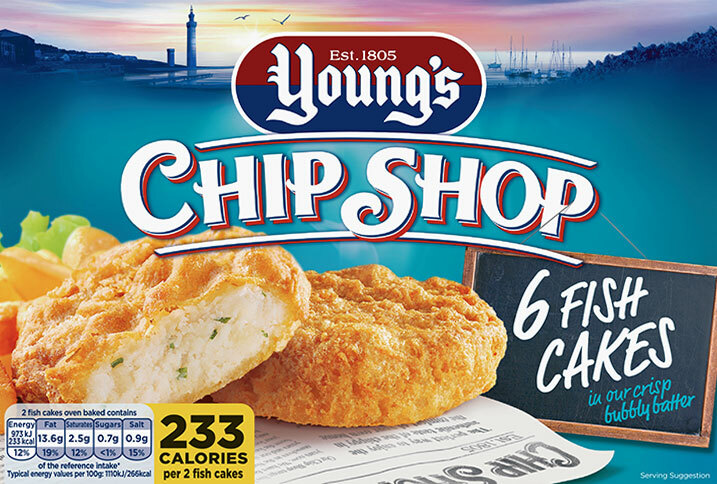 As a precaution, Young’s Seafood are recalling packs of its Young’s Chip Shop Fish Cakes 6 Pack that have been manufactured from a batch where a small number of the fish cakes were found to have been contaminated with small pieces of hard plastic and potentially small pieces of metal. The ONLY affected Young’s Chip Shop Fish Cakes are those with the production codes AAL 7209K, AAL 7209L, AAK 7222J & AAL 7222K. The codes may be found under the Best Before Date on the side of the pack. Packs have been on sale at Farmfoods & Heron Foods. Customers are advised not to consume the product. For details of how to return the product for a full refund please call the Young’s Seafood care line on: 0800 496 8647 or email care@youngsseafood.co.uk. The recall does not affect any other Young’s or Young’s Chip Shop products. We apologise to retailers and our customers for any inconvenience caused by this voluntary recall. The safety and quality of our products is highly important to us and we take all issues regarding the production of our food extremely seriously.